The case of the ILVA steel plant in Taranto represents an example of contrasting, incommensurable sustainability issues, explored in terms of “social” and “societal” risks (Asenova et al. in Managing the risks of public spending cuts in Scotland, 2013; Redistribution of social and societal risk: the impact on individuals, their networks and communities, 2015) [Asenova et al. (2015) refer to social risks as the risks of unemployment, and to societal risks as environmental and health risks.]. The case of ILVA has received significant attention for the great amount of dangerous pollutants spread in the environment, as well as the evidence of higher illness and mortality rates in the districts nearest to the plant. In July 2012, the Italian Judiciary halted activity in the steel plant. Four months after, the Italian Government declared the steel plant site as a “Strategic National Interest Site”, and allowed the company to restart its activity. Drawing on governmentality (Foucault in Questions of method, 1991), the paper aims to explore the role of accounting—here broadly intended as calculative practices (Miller in Soc Res 68:379–396, 2001)—in moulding ministerial discourse to support decisions when the governance of contrasting risks is needed to safeguard public interest. Supported by discourse analysis of governmental speech, the research shows that the Italian Government based its decision on various experts’ risk appraisals: accounting shaped governmental discourse by giving more visibility and relevance to “social” risks (i.e. unemployment, economic development, productivity and competitiveness risks), while silencing “societal” ones (i.e. environmental and health risks). Focusing on a case of incommensurable contrasting issues, the findings contribute to show that accounting concurrently plays a significant role in government decisions legitimizing the business continuity through the creation of a specific risk discourse. Social and societal risks Risk governance Governmentality ILVA s.p.a. The authors are grateful to the editors and the reviewers for their insightful comments and the support provided during the review process. 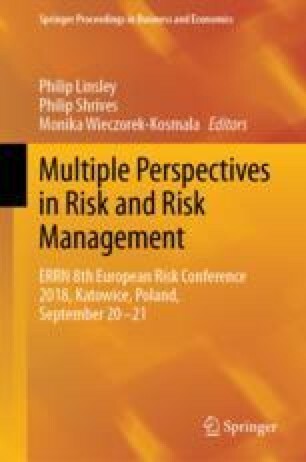 In its earlier version, the article benefited from the feedback provided by the attendees at ERRN 8th European Risk Conference, Katowice, Poland, 20–21 September 2018. While the paper is the result of a joint effort of the authors, Alessandro Lai wrote Sections 5.1 and 6, Silvia Panfilo wrote Sections 1, 4, 5.3 and 5.4, and Riccardo Stacchezzini wrote Sections 2, 3 and 5.2.